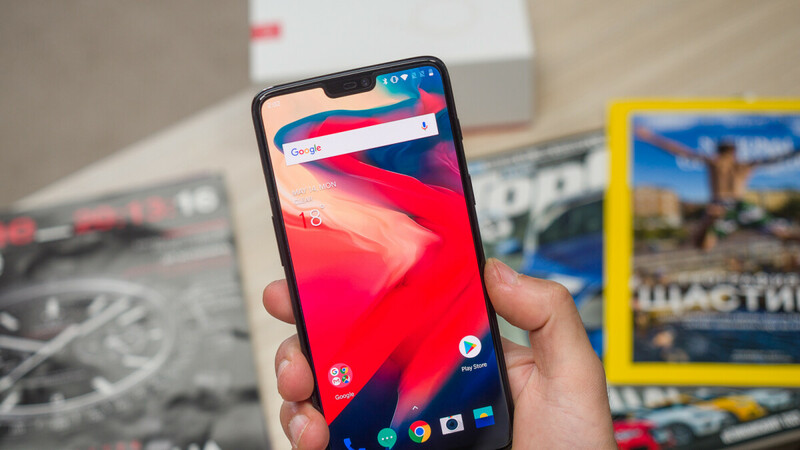 The OnePlus 5T was the company's first phone to support a face unlock feature, but since it lacked the means for depth sensing and 3D face mapping, many people were wondering if the phone just recognized its supposed owner from a glorified "selfie". Well, it turned out that OnePlus was wiser than that and actually employed their own custom solution, developed by a Chinese security company called SenseTime, that has a sizeable background in facial recognition. The secureness of the feature was called into question numerous times—even here, at the office, where yours truly was able to enroll a face from a printed photo, though not actually unlock the device—but it was really quick and did a commendable job. That's why, we weren't surprised to hear that face unlock would be making a return on the OnePlus 6. What we were surprised by, however, is how easy it apparently is to fool the face unlock system on OnePlus's latest phone. Twitter user @rikvduijn yesterday posted a video of the OnePlus 6 being unlocked with a paper cutout of his face. Worst of all? The method apparently works with a black and white photo as well. In the video, you can see one of Rik's friends holding a photo of his face—just a selfie, judging by the wide-angle appearance of the image—and showing it to the OnePlus 6, which almost immediately (and terrifyingly) grants him access to the OS. We have reached out to OnePlus for a comment and will update if and when we receive a response. "We designed Face Unlock around convenience, and while we took corresponding measures to optimise its security we always recommended you use a password/PIN/fingerprint for security. For this reason Face Unlock is not enabled for any secure apps such as banking or payments. We’re constantly working to improve all of our technology, including Face Unlock." Me, i dont use finger print or face unlock, i dont need either. What they technically say is "our face unlock system is just for entertainment purposes only, do not take it too seriously. Use at your own risk" LOLZZZZZZ Crappy Android will NEVER be as good as iPhone. So you are comparing an OS to hardware which makes no sense at all. As soon as one manufacturer implements 3d face scanning (which should be soon), Android will be on par with iPhone/iOS when it comes to this feature. This only shows once more you are a very big exception to the assumption the average iOS user is a well-educated smart person. Btw OnePlus is never at the forefront of hardware innovation, they are known for phones that use the current state of tech only. I guess you think Crappy apple is best ? "Samsung had face unlock years before Apple"
Android had Face Unlock since version 4.0 Ice Cream Sandwich in 2011. Since then all Androids have this capability but no one cares (including the manufacturers) until Apple came up with Face ID. What a messy industry. no-one cared because those are so bad, Face ID is first really working face recognition which can be used with bank apps etc. And still remain the best face unlock iPhone X.
lolzzzz Yes! Samsung was first in everything!!! YAY!!!! Wowwwww! We didn’t know that, thank you so much for enlightening us. From now on, will skip all sources, and just wait on you to inform us. This news is just incredible. I mean, who knew Samsung had face unlock before Apple. People would agree the Note series is better than OnePlus and their lineup but OnePlus is equally as good now. LOL. We stan one of the fastest performing phones with great built quality and all the goodies that 800$+ phones have for affordable price of under 600$. 80's fad Stan getting brave, shouldn't you be giving some water to Mariah so she wouldn't be off key all the time? And what is your fave? We are talking about phones here and your answer is two crappy music albums? My fave is cheating benchmarks brother. S8 iris scanner fooled by photo iX Face ID fooled by twin, son or someone not even related. Op6 face scan fooled by picture... Still lack of this features are CON for many tech sites. I would have given you 10 thumbs up if I could. I don't believe all the claims that securities based on face structure (on a phone) are more secured than fingerprints. The S8 iris is fooled by photo. Yeah, if you have Laser printer and a IR camera and a freaking contact lens. S8 iris scan was fooled by a high resolution photo. Lets see how you take a high resolution photo from someone eyes; against his will.